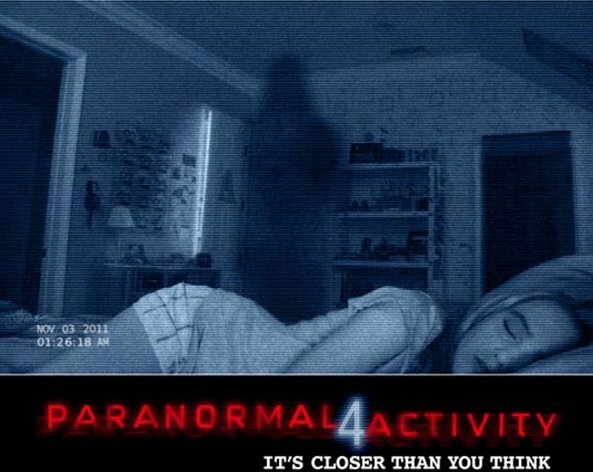 “Paranormal Activity 4” extends the “Paranormal Activity” film franchise with this fourth installment. A sequel to “Paranormal Activity 2”, it brings the story of main character Katie, played once again by actress Katie Featherston, and her nephew Hunter, that she kidnapped at the end of the second movie. Katie, who is still possessed by the demon, along with Hunter move in next to a woman and her daughter, Alice. Strange things begin to happen in Alice’s home, and they seem to center around their odd new neighbors. There has been very little information released about the movie in order to keep it a mystery for the fans. Ariel Schulman directed the third film and returns once again to direct this installment. As witnessed in the clip, a new technique has been employed using footage shown from a webcam on Alice’s laptop in an attempt to bring more scares with a fresh idea. The film is set to release in theaters on October 19, 2012. Posted by Amber Keller on Wednesday, October 3rd, 2012. Filed under Headline, Movies, Video. You can follow any responses to this entry through the RSS 2.0. You can skip to the end and leave a response. Pinging is currently not allowed.